Where can I go for a hearing test? You can see your gp and be referred to your local audiology department, but depending on your area there can be a waiting list of up to 18 weeks. Privately, there are many companies offering free hearing tests. We offer complimentary hearing checks/assessments, either at our clinic in Ferring or can arrange a home visit if you are not able to get out. If you do have a hearing loss which is related to a medical condition (which may be treatable) we will refer you back to your gp. If you have a hearing loss which is treatable with a hearing aid, we will discuss the options that are available to you – in terms of size, power requirements and budget without obligation. We can also offer you a free demonstration, so you can hear the benefit yourself before making any decisions. What is the process if I order a hearing aid? If you decide you would like to try hearing aids, depending on the type of hearing aid, we would book a fitting appointment – behind-the-ear hearing aids can be ordered and received within 2/3 days. If you have decided on custom-made, in-the-ear instruments, we will take impressions of your ears and send these to the manufacturer and the finished hearing aids will be received back usually within 7 working days. That will be your decision. If you have a hearing loss in both ears (which is usually the case) we would ideally recommend two hearing aids to provide the best possible hearing and understanding. Sound signals to both ears gives your brain the ability to locate where sounds are coming from which is important for safety, traffic, alarms etc. Being able to hear on both sides in group situations is critical in being able to participate in a conversation. Reduces the need for volume – you need less volume going in to each of two ears to hear well. Two hearing aids will help you to suppress background noise and focus on the person speaking. Listening with two hearing aids is less tiring – you will strain less to make sense of the surrounds around you. Most people say that once they have tried two hearing aids they would never go back to wearing just one. Depending on the manufacturer, hearing aids come with a 2-5 year warranty, although in some cases the hearing aids can last longer. While today’s technology allows for the hearing aids to be reprogrammed to accommodate changes in you hearing, some people choose to purchase a new hearing system in order to benefit from any new features that come with advancement of hearing aid technology. Are there ongoing costs if I buy a hearing aid? Hearing aids are an important purchase – you will be wearing them most hours during the day, 7 days a week. 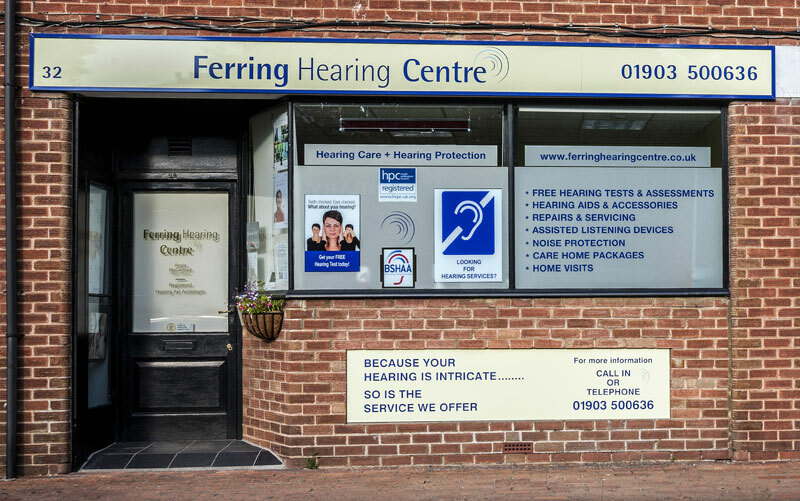 At Ferring Hearing Centre the price includes a lifetime of aftercare, based on as many follow-up appointments as you require, 6-monthly checks (where we will check your ears, clean and check your hearing aid, replace domes, filters etc.) and regular retests of you hearing. Should your hearing have changed will can reprogram your hearing aids. The only ongoing cost will be batteries – approximately 33 pence each and will last about a week. Can I use a hearing aid with my mobile phone? You can purchase amplified mobile phones which are hearing aid compatible, this helps reduce interference, however the latest technology allows direct streaming from mobile phones/tablets/iPads etc,. to the hearing aids which provides superior speech understanding in high quality stereo sound. We can demonstrate this technology if required. The list of possible questions is endless and the answers generally will be different for each person. 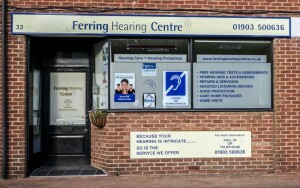 At Ferring Hearing Centre we treat each client as an individual, not just a pair of ears. We therefore need to look at the whole picture, taking into account age, lifestyle and listening requirements, problems encountered, physical features, dexterity issues and of course budget before we can advise you of the best possible solutions to your hearing difficulties. We are proud to be independent which means we can take the times and advise you of the best hearing instruments from the full range of manufacturers, many of the larger chains are owned by or tied to a particular manufacturer. Our prices are extremely competitive but we will happily match any written quotation offering a like-for-like service. We would strongly advise not buying hearing aids online, even those offering a home-visit service., A big part of purchasing your hearing aid is the ongoing aftercare, retest and readjustment services and reports have shown this lacking in online companies who simply contract out the work and are not as keen to return once hearing aids have been purchased.